Toyota is the world’s market leader in sales of hybrid electric vehicles, and one of the largest companies to encourage the mass-market adoption of hybrid vehicles across the globe. Besides the above mentioned vehicles, Toyota is also producing many other vehicles. 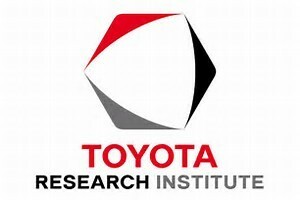 Today we will not talk about the history and development of Toyota, instead, the topic I want to talk right now is the institute belongs to Toyota- the Toyota Research Institute. Just as its name implies, the purposes of setting up this institute is to advance the technology and invent new lines of vehicles. The symbol of this institute is rather simple yet impressive.